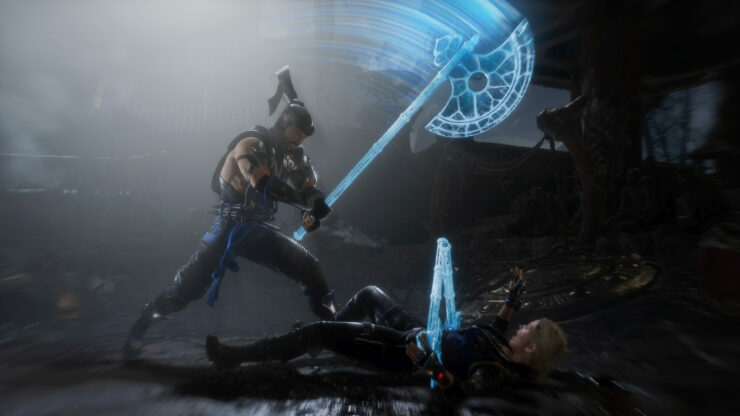 During the recent Mortal Kombat 11 press event in London, our on-site reporter Callum Agnew was able to play the game as well as briefly chat with Game Designer Derek Kirtzic from NetherRealm Studios. At our behest, Callum queried him regarding the chances of cross-play making it into the game now that more titles are enabling it. While they aren’t discussing any details for now, it is something they are looking into and hope to do at some point. Cross-play isn’t likely to be enabled at the game’s launch on April 23rd, then, but it may well be released later. In fact, given that Mortal Kombat 11 is going to be powered by Unreal Engine technology (a highly modified, NetherRealm version of Unreal Engine 3 to be exact), it’s easy to imagine the developers taking advantage of Epic’s scheduled cross-play features rollout throughout 2019. These features should help game developers as they activate cross-play in their games. Here at Wccftech, we’ve been hoping it would become a standard feature for quite some time and it’s exciting to see that dream slowly coming into realization. Would you like to be able to brutalize your friends in Mortal Kombat 11 regardless of their game platform of choice? Tell us in the comments.